After a surprisingly lengthy number of consecutive episodes set either in Earth’s past or future or on different planets, Doctor Who returns to the Earth in the present day with the smaller-scale but suitably creepy ‘Night Terrors.’ While the Tensa, a scared and confused psychic entity strong enough to communicate with the Doctor across the universe, isn’t necessarily the most novel concept, its portrayal and the resultant look at a child’s perception as well as a parent’s dilemma make for a fantastic and surprisingly insightful story. Whether intentional or not, the relationship between parents and child has been present in both episodes kicking off the second half of this series, focusing both on the dysfunctional and successful aspects of the relationships. Here the alien Tensa is abandoned and left to fend for itself, attaching to a human family and altering their perceptions to fit into their lives seamlessly. The sheer fear of being abandoned again inadvertently leads to the parents being terrorized themselves, looking to external sources to resolve their issues with their son. This setup allows for a fascinating exploration of the fragility of psyches and how even the best intent can have negative ramifications. In a not uncommon approach, the parents choose to create a metaphorical lockbox for their son’s fears, putting those scary aspects into the cupboard. However, given the nature of their son, this quickly creates and feeds into the bigger issue as he becomes more isolated and more anxious. 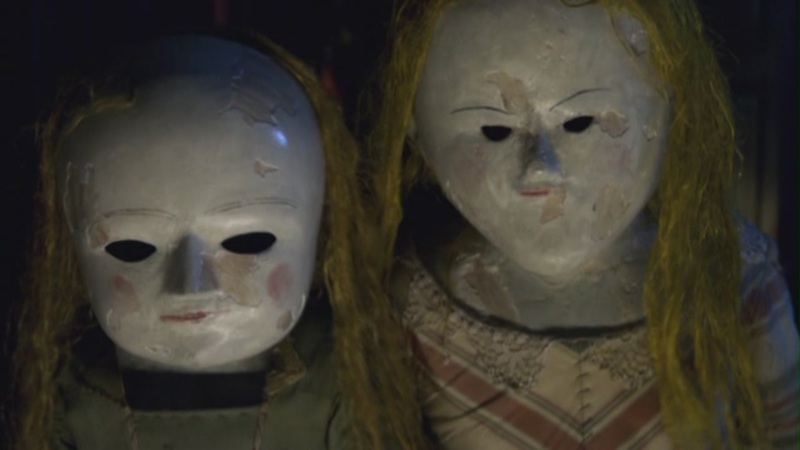 As the fears become manifest, ‘Night Terrors’ offers some genuinely chilling moments that play on the common childhood fears. There is very little in the way of CGI here, the story instead focusing on very physical and real threats alongside psychological thrills and sound effects as the pace is deliberately slowed down. Considering the incredible amount of material that has been fit into the previous episodes of Doctor Who, this is a nice change of pace that focuses just as much on what remains unsaid through implication. Amy and Rory are more peripheral characters here, though their neighbourhood watch segments are amusingly relatable after the more incredible events of late and Amy’s transformation into a doll is suitably unsettling. Still, as strong as Gillan and Darvill’s acting together is, this story would have been just as effective had it been companion free because it really is the story of the Doctor relating to a father and son. Matt Smith perfectly imbues his typical quirkiness with an experienced parental gravitas, and Daniel Mays as the well-meaning but helpless father brings a believable sense of fragility and emotion to the role as his pure love for his son is undoubtedly proven. For a self-contained tale free of continuity threads as it tells its tale, ‘Night Terrors’ is a success that still brings plenty of ideas to the table. The innocence underlying the threat and the memory implant reveal work very well, and the unnerving tension that eventually gives way to a heartwarming resolution is incredibly effective. The ending scene as the Doctor pulls up the date of his confirmed and witnessed death on the TARDIS screen, though, shows that that fact is still weighing heavy on his mind as that fateful time approaches, no amount of adventuring or running able to delay its coming indefinitely.